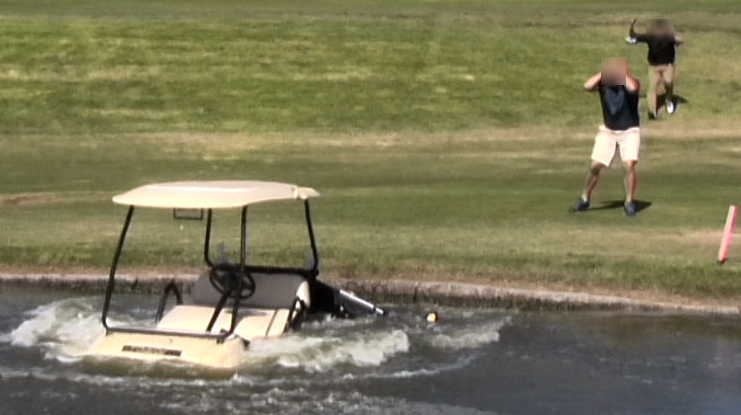 Save the date: Saturday June 11th 1:00 pm at New Dundee Golf. Further details to follow. 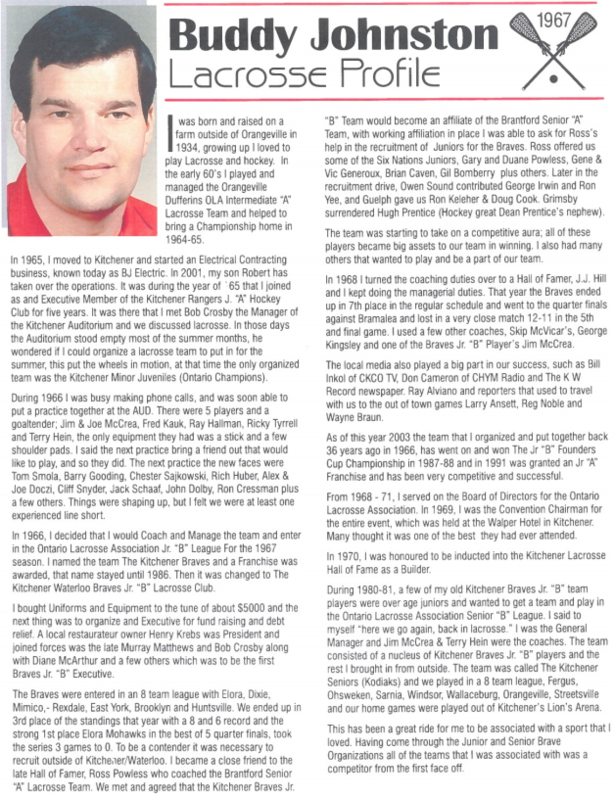 In attempts to build a library of history for the KW Braves and the Kitchener Braves, we are in search any old news articles and pictures you may have. We should need them as long as it takes to scan and return them to you. 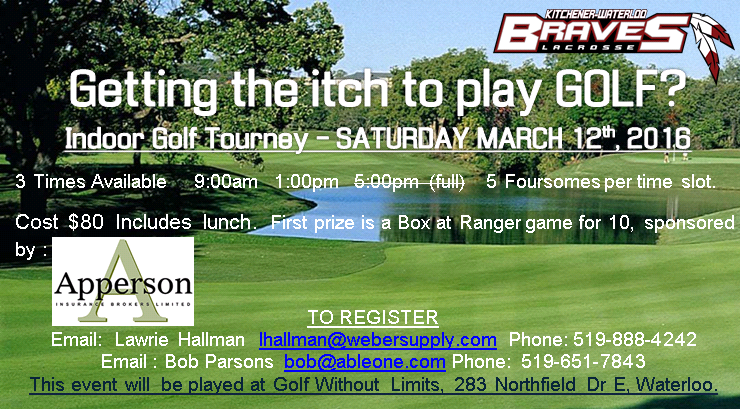 Please email Lawrie Hallman, lhallman@webersupply.com if you are able to help. Here is Joe McCrea in 1967. 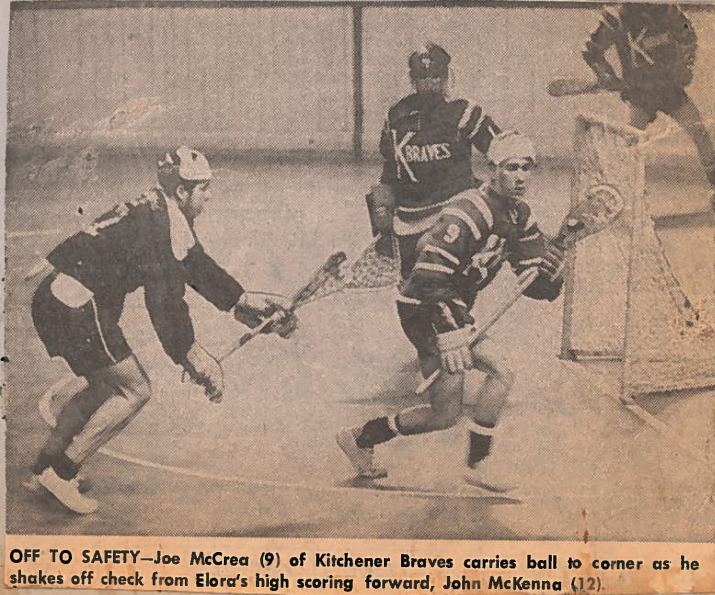 Joe went on to win a Mann Cup in 1979 with the Victoria Shamrocks. There’s a new Canuck in town.After losing the opening faceoff and allowing Michigan to score the first goal of the game, sophomore attacker Chris Cloutier ripped the ball into the net, sparking a 5-0 run for the North Carolina men’s lacrosse team in under four minutes.The run helped fuel a 20-10 win for UNC in its season opener — and Cloutier emerged as the dark horse of the Tar Heels’ offense. On Saturday, he posted five.“Cloutier’s a bear. 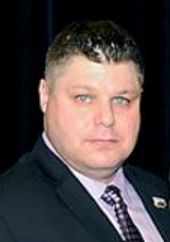 He’s a monster,” Coach Joe Breschi said. “You can’t cover him with the short stick.”The 5-foot-11, 215-pound attackman was integral to his team’s offensive explosion. After the graduation of Joey Sankey, Jimmy Bitter and Chad Tutton — three of UNC’s top four scorers from a year ago — uncertainty surrounded the unit.“We talked about it as we started the season that there’s going to be a lot of new guys on the field,” Breschi said.“And we’re not trying to have them do anything they’re not capable of doing.”Not only did Cloutier make his first start on Saturday, but it was also his first time playing his new position since high school. 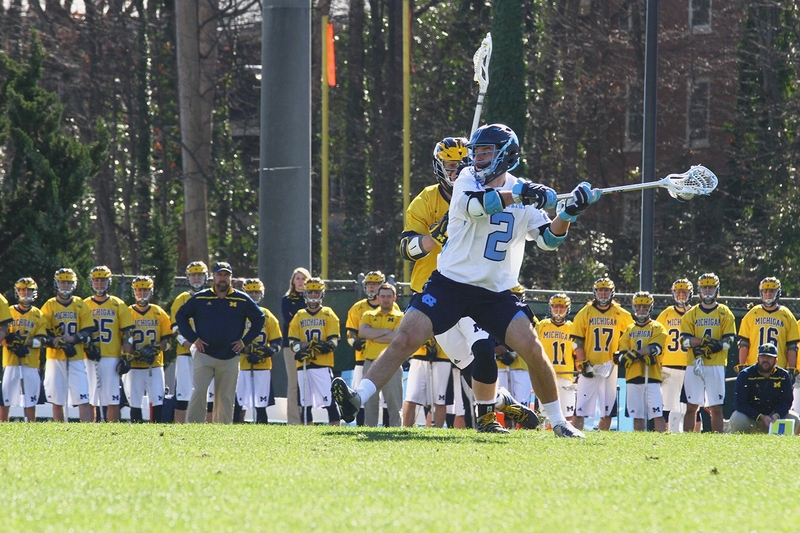 The coaches moved him to midfielder for his first year, switching Cloutier to attackman this offseason. 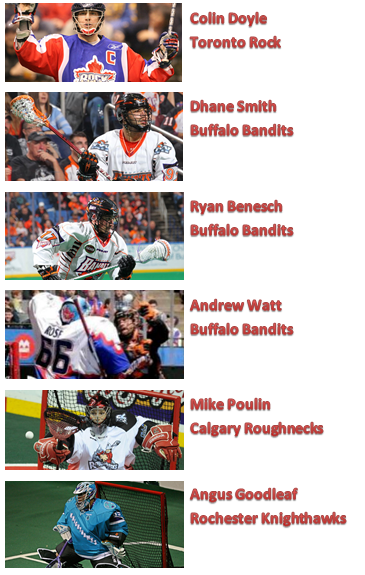 “It really helps to have these guys out here to teach me through the new ways,” Cloutier said. “It helped that our chemistry (with junior Luke Goldstock and senior Steve Pontrello) is so strong.”Cloutier was one of 10 different Tar Heels to score in Saturday’s season debut, silencing any doubt about the team’s talent. Pontrello contributed four goals and an assist to the effort, while Goldstock posted two goals and three assists. 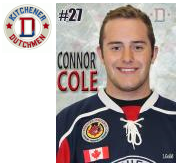 Connor Cole leads Dutchmen into the playoffs, now off to the second round versus the Siskins. Click for KW Record article. Running through the drills but just a little bit faster this week. PROGRESSION !!!! 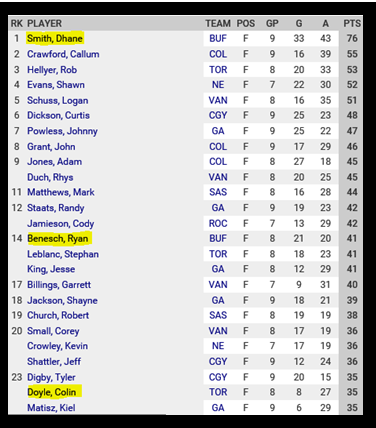 Dhane Smith has widened his lead in all categories of scoring, leading the league in total points, total goals and total assists. 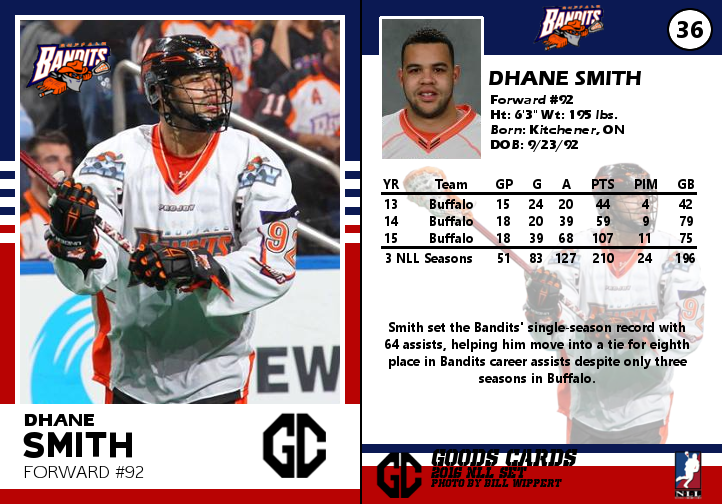 The KW Braves wish Dhane continued success in 2016. 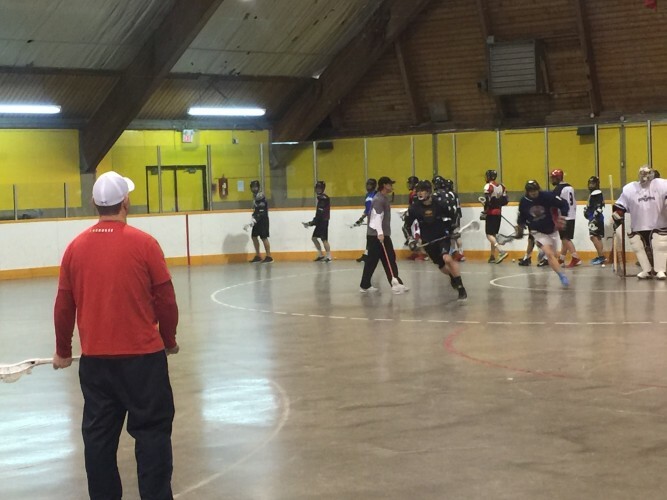 Training camp began on Sunday February 28th for the KW Braves, Guelph Regals and Wilmot Wild. 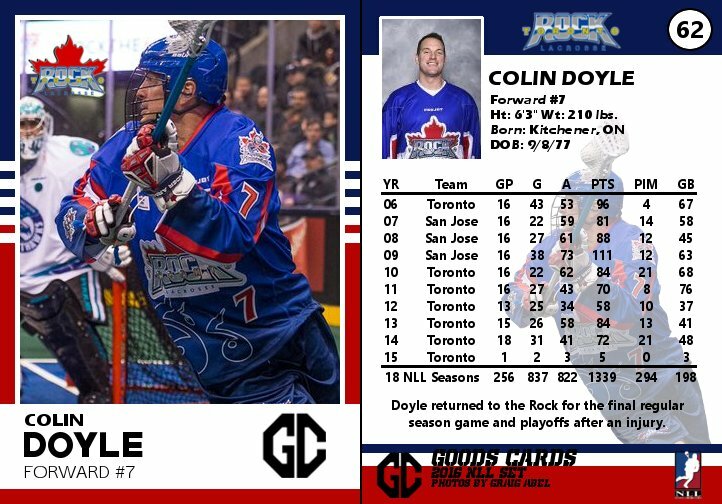 Next session is Sun Mach 6th at 2:00pm Queensmount Arena. The K-W Braves, Guelph Regals and Wilmot Wild are holding a joint evaluation camp at Queensmount Arena in Kitchener on the following dates. Why are we holding these together? 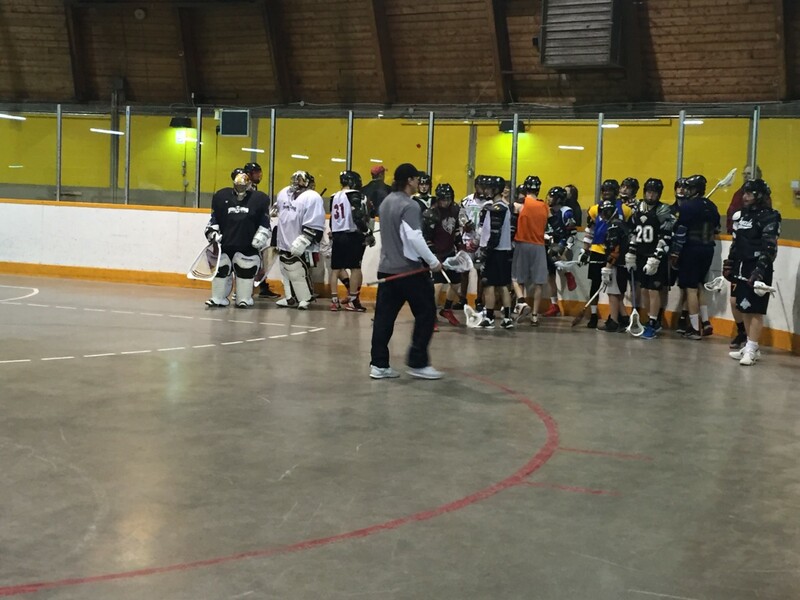 ¨ To provide a fair and impartial assessment of a player’s total lacrosse skill during the various drills and scrimmage sessions. 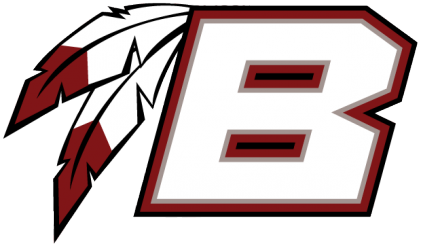 ¨ To ensure that players have a reasonable opportunity of being selected to a team appropriate to their skill levels. ¨ To provide coaches with the opportunity and flexibility to build a team based in part on their own coaching philosophy and knowledge of player skills and attitude. 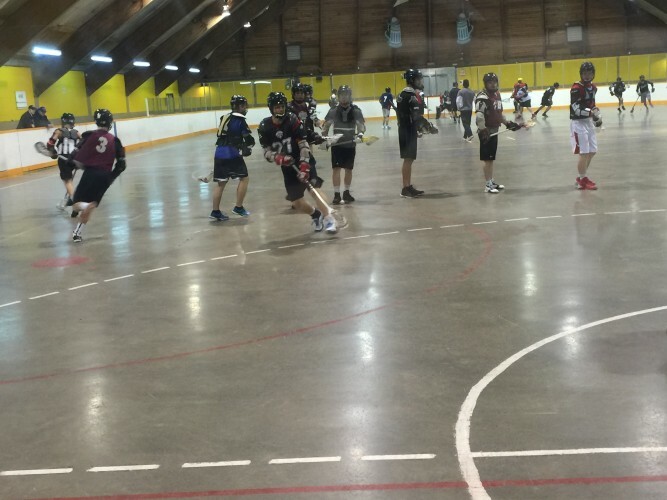 ¨ These three teams have an affiliation connecting all levels of Junior lacrosse, A,B & C.
If you are a graduating midget or a Junior B/C player from any other centre, you will need permission to run from your team. If you do not fall into any of the above categories and need clarification, please contact one of the GM’s below for clarification. Any players under the age of 18 will require a parents consent form. You will require full equipment. At your first session allow an extra 15 minutes to complete all required documentation. Cost for these sessions is $10 per session. Each of these Junior teams will have their individual training camps commencing shortly after the last session. These dates will be communicated to you in the near future. If you have any questions, please contact any one of the following.